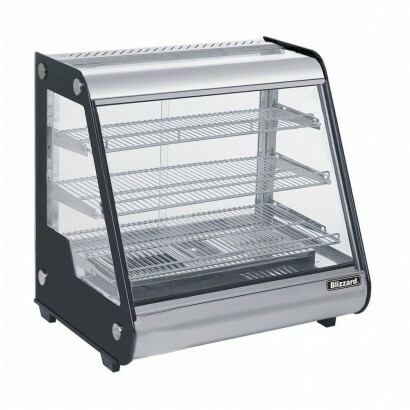 Our range of hot food display cabinets includes a hand-picked selection of heated food display units to effectively display your cooked food. 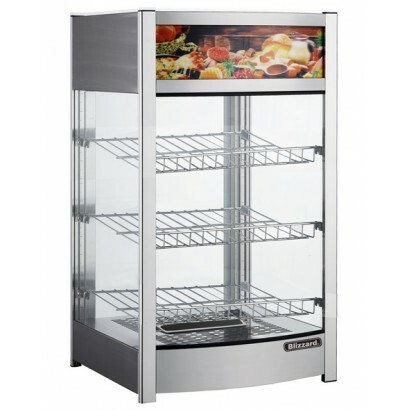 Available in counter top, full height and free standing heated display cabinet styles. 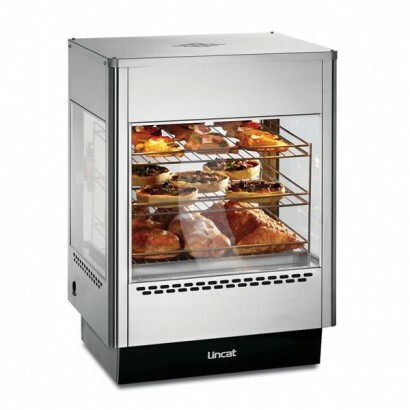 These heated display cabinets have large glass fronts giving the customer a brilliant view of your produce inside, whether that's pies, pasties or any pre-prepared cooked food. 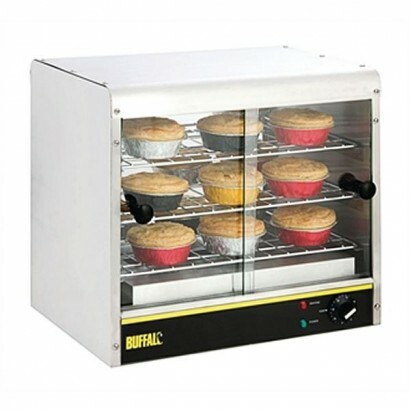 If you require any more information about our pie warmers, heated gantries or heated food display units feel free to call us on 0161 442 9174 and speak to an expert today. 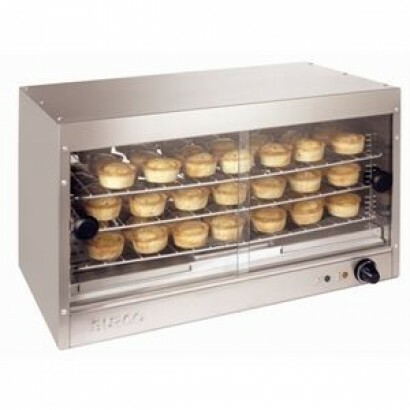 A STYLISH rounded compact design pie warmer with robust stainless steel construction. 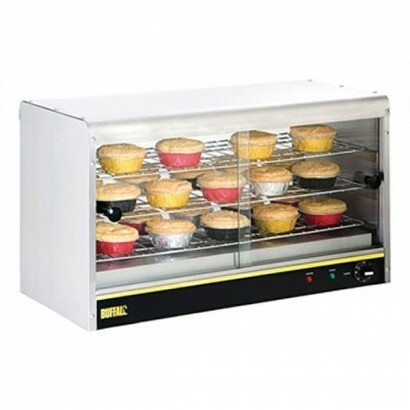 The unit is co..
HYGENIC and easy to clean the GF455 pie cabinet has capacity for approximately 60 pies. 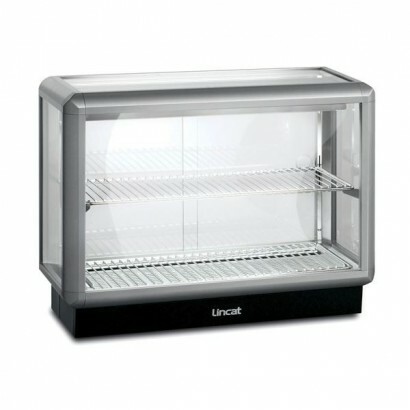 The unit has..
Lincat LPW pie cabinet with humidity feature option. Strong stainless steel construction supplied wi.. 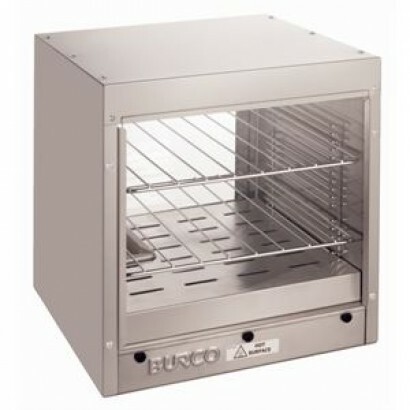 Stylish and compact single shelf cabinets which provide a thermostatically controlled and humidified.. 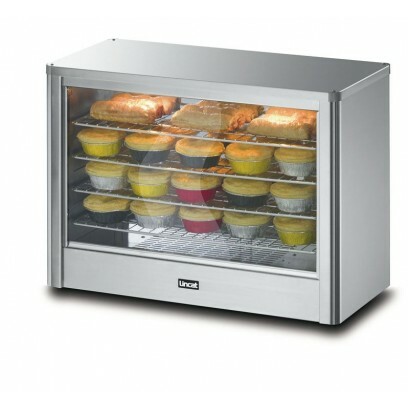 The Blizzard CTH countertop range offers great heated display, perfect for showcasing pies and hot s.. PRODUCT INFORMATION External Dimensions: H 633 x W 664 x D 493mm Power Consumption: 1000W .. 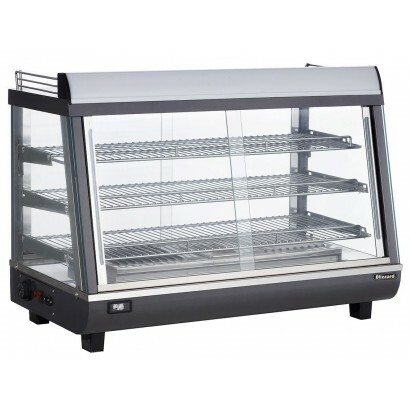 Stylish and compact double shelf cabinets which provide a thermostatically controlled and humidified.. Product Information External Dimensions: H 698 x W 678 x D 580mm Standard Delivery: 3-5 Work.. 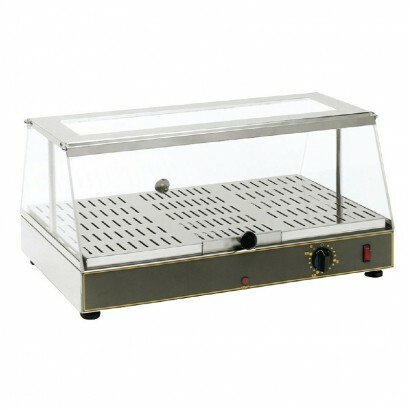 PRODUCT INFORMATION External Dimensions: H 633 x W 900 x D 493mm Power Consumpetion: 1100W .. 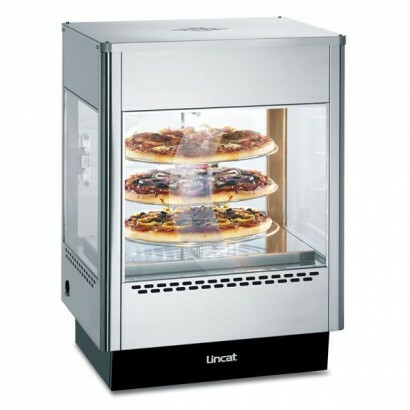 Product Information External Dimensions: H 695 x W 865 x D 578mm Standard Delivery: 3-5 Work..
Lincat UM heated merchandiser. 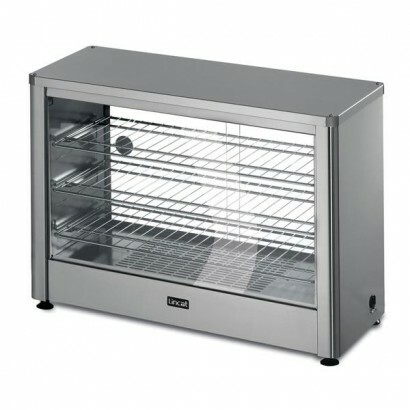 Available with rotating or static shelves and in back or self service.. 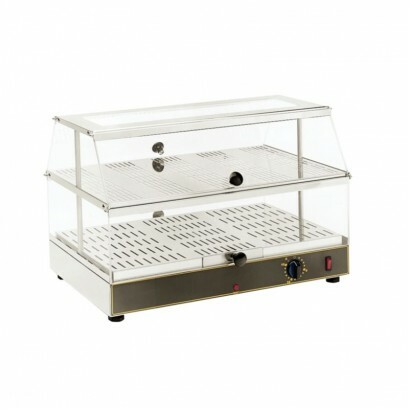 The new counter top heated merchandiser is the perfect cost effective way to showcase your heated fo.. 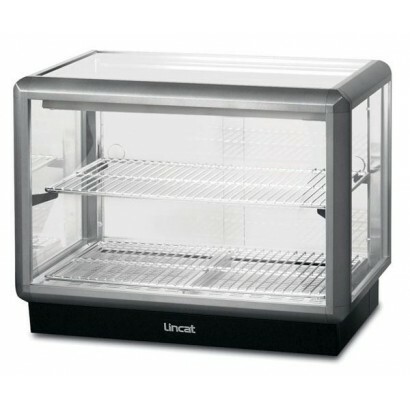 Compact counter top design with two chrome shelves and large glass display panels for excellent disp..
Lincat Seal 500 heated display cabinet. Available in two width sizes and with back or self service o..